This entry was posted on November 15, 2010 by iheartfilm. 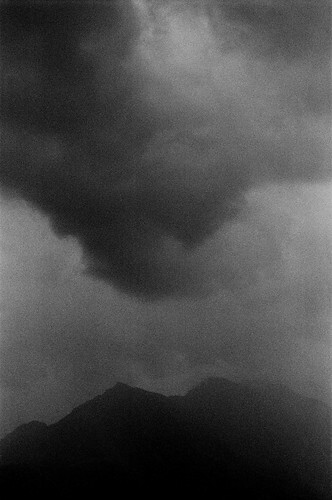 It was filed under Black and White, Fuji Neopan 400, Landscape and was tagged with bitterroot mountains, Black and White, clouds, film, Fuji Neopan 400, Landscape, montana, mountains, nikon f100, noritsu koki, paradise valley, photography, storm. Nice – I like the reflection of the shapes in the mountains and the clouds. sums up my general mood from the weekend! Dramatically beautiful. Love the natural grain. Like everything here very much but this is my FAVORITE so far! Only thing one could wish for would be a slice of lightning. Or not. Love the ominous and immense gloom of this piece.